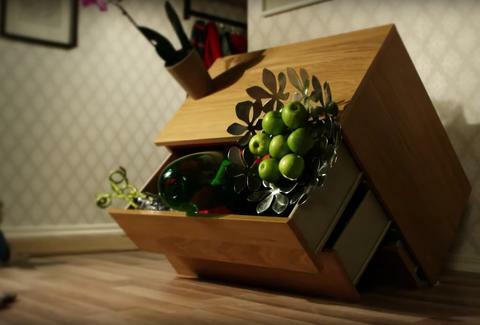 It took the deaths of six children across the United States and Canada, but IKEA -- purveyor of affordable furniture and dried elk sausages -- has recalled 36 million dressers, chest drawers, and other pieces of furniture, according to the U.S. Consumer Product Safety Commission. "It is simply too dangerous to have the recalled furniture in your home unanchored, especially if you have young children," CPSC Chairman Elliot Kaye said in a video accompanied by a demonstration of a child-sized puppet getting unceremoniously crushed. Kaye called the recall one of the "most comprehensive consumer safety recalls in American history." It comes one year after IKEA attempted to confront the problem by offering free wall mounts for your furniture. This time around, customers have the option to take the chest or dresser back to any IKEA store for a full refund (or store credit, depending on the product's age). If the consumer wants to keep their furniture, they can still get one of those wall-mount kits free of charge. Additionally, if you're unable to get to an IKEA store, Kaye says, IKEA will pick up your furniture free of charge. For further details, as well as product and location information, check IKEA's website and the CPSC's press release on the matter. Seriously though, if you do have kids, child-proof your home and do everything you can to keep them safe... even if that means adjusting your Swedish feng shui. If you don't have kids and still love your IKEA wares, check out our helpful (and affordable) IKEA hacks. Eric Vilas-Boas has purchased several IKEA pieces for his cramped New York City apartment over the years, but has never purchased any children. Follow him on Twitter.